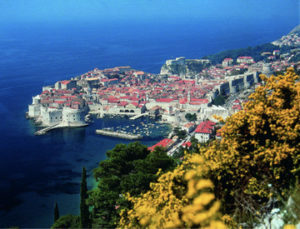 Heaven to Earth invites you to very special culinary & wine tasting tour of Croatia, the “Jewel of the Mediterranean”. You will indulge your palate with traditional cuisine & unique wines, including the “Pearl of the Adriatic, Dubrovnik”, ending in Split – one of the top travel destinations in Croatia. Check in on our Yacht Moonlight at 1:00 PM in Split City Harbor. Welcome drink & light snack. Settling in cabins, departure at 3pm PM toward Makarska. After breakfast departure for the Makarska Croatia. It is is one of the most beautiful cities in Central Dalmatia situated only 65 km from Split and 155 km to Dubrovnik. Makarska is the center of Makarska Riviera, one of the most popular tourist destinations in Croatia. After breakfast we sail next to Pelješac is the green Mljet, stretching over 100 square kilometers. Thanks to its thick pine forests, karstic caves and two picturesque lakes connected with the sea, gravelly and sandy beaches and a fishing area abundant with fish and lobster, the west part of the island has a national park status. According to many this is the most beautiful and most wooded island of the Adriatic, is one of the most interesting cultural-historical pearls of the Mediterranean. After breakfast departure for Dubrovnik. It has, without a doubt, a special place in Croatia’s cultural heritage. A town of monuments or museums under UNESCO patronage. Starting from the 1940 m long walls with bulwarks, the Stradun – Orlando’s pillar, the gothic renaissance palace of Sponza and the celebrated Rector’s Palace as well as the famous church and monastery. Visit to underwater Winery “Edivo Vina Winery” in Drače, about an hour north of Dubrovnik on the Pelješac peninsula, taking winemaking to a whole new level. Its underwater winery, the first of its kind, invites travelers to dive underwater and explore the unique aging process of its Navis Mysterium, or sea mystery wine. After breakfast we leave to visit the birthplace of Marco Polo. It was built on the foundations of a Greek colony, and is the historical and tourist centre of the largest island in the Dubrovnik region. It is famous for its streets that are shaped in the form of a fish bone and well-preserved Gothic and Renaissance buildings. After breakfast we sail towards The Zlatni Rat. The beach spreads to the west of Bol and is one of the biggest and most beautiful natural beaches on the Adriatic. Like a tongue stretching almost half a kilometer into the sea, it grows with the drifting deposits of tiny pebbles, changing its shape depending on the wind and the direction of the waves. After breakfast on board we depart for island Brač, one of the most interesting islands in the Adriatic and a wonderful source of ancient wonders. The Stina company produce wine from four grape varieties, Plavac Mali, Pošip, Crljenak, and Vugava which are all native Croatian grape varieties. Fun Fact: Interestingly, you may know the Crljenak as the Californian Zinfandel. It’s now been proven that the Zinfandel originates from the Crljenak in Croatia! Opol. A rose made from Plavac Mali. Let us just say this will be this summer’s wine in our house after we purchased many bottles. It is delightful and refreshing. Pošip Majstor. Those outside of Croatia may not be familiar with Pošip. Since arriving in Croatia, I have fallen in love with this white grape variety, and if you get a chance, you should give this wine a go. Plavac Mali Majstor Barrique. It’s the king of the red wine in Croatia and Stina have hit the nail on the head with this Plavac Mali. Crljenak. Zinfandel’s daddy growing on its home turf. Prosek. A desert wine primarily made in Dalmatia. Prosek is made from Plavac Mali and Posip and is something special.Experience wine tasting and olive oil tasting in the heart of Brač island! Traditional location between old stone houses combined with great wine, oil and heritage. .
Captains dinner on board. After dinner we sail back to Split and overnight at Split. Disembarkation at 9:00 AM City Port Split. 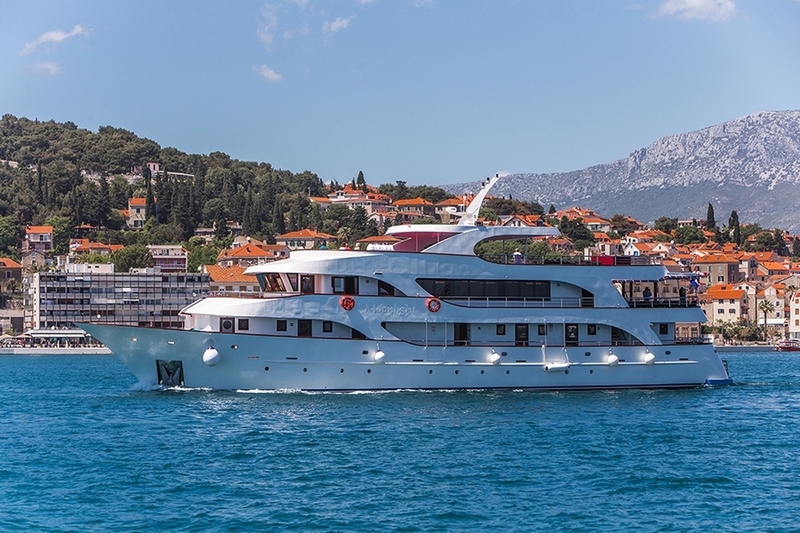 The newest and most modern luxury ship available for charter in Croatia, Moonlight will give you amazing comfort in the spacious salon, lounge bar with piano, huge open area terrace for leisure and sunbathing. Sauna, wellness zone with massage on board and sundeck bar are just some of the facilities offered. Meet and greet at dinner on board. Makarska Croatia is one of the most beautiful cities in Central Dalmatia situated only 65 km from Split and 155 km to Dubrovnik. 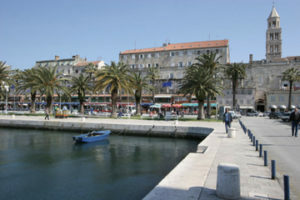 Makarska is the center of Makarska Riviera, one of the most popular tourist destinations in Croatia. 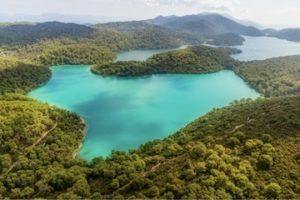 ZNext to Pelješac is the green Mljet, stretching over 100 square kilometers. Thanks to its thick pine forests, karstic caves and two picturesque lakes connected with the sea, gravelly and sandy beaches and a fishing area abundant with fish and lobster, the west part of the island has a national park status. 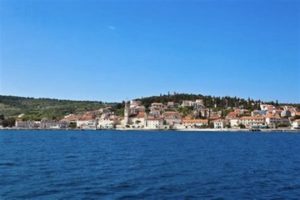 According to many this is the most beautiful and most wooded island of the Adriatic, is one of the most interesting cultural-historical pearls of the Mediterranean. Dubrovnik has, without a doubt, a special place in Croatia’s cultural heritage. A town of monuments or museums under UNESCO patronage. Starting from the 1940 m long walls with bulwarks, the Stradun -Orlando’s pillar, the gothic renaissance palace of Sponza and the celebrated Rector’s Palace as well as the famous church and monastery. The Zlatni Rat beach spreads to the west of Bol and is one of the biggest and most beautiful natural beaches on the Adriatic. Like a tongue stretching almost half a kilometre into the sea, it grows with the drifting deposits of tiny pebbles, changing its shape depending on the wind and the direction of the waves. Bol is a paradise for surfers because of the favorable wind, which always blows. After breakfast on board we depart for island Brač, one of the most interesting islands in the Adriatic and a wonderful source of ancient wonders. We will have guided tour to the Dragon’s Cave, inexplicable shrine with beautifully stone – carved monument. Captains dinner on board. After dinner we sail back to Split and overnight at Split. Breakfast on board.Disembarkation at 9:00 AM City Port Split. 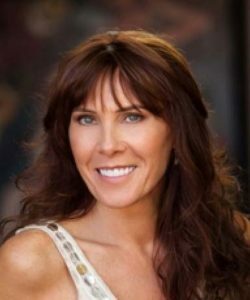 Bianca Childs is a certified Holistic Health care and Esalen® Massage practitioner. She travels internationally sharing her passion towards Healing Arts and Moving Meditation Practices. Bianca founded Bridging Heaven and Earth, a 501c3 non-profit – a world-class education and leisure Land & Sea holiday provider combining presentations by inspirational Speakers in New Age Thought arena from a multi-discipline fields of alternative health, science, literature and Healing Arts. Alen Susak is a permaculture activist, designer, artist and educator. 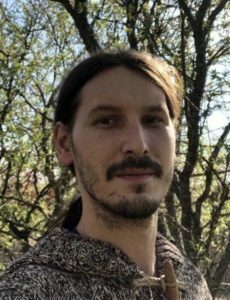 He began his career studying electrical engineering and has taught numerous classes in sustainable design, permaculture, natural building, horticulture and farming over the last ten years. He has spent much of his adult life in the building trades reintegrating humanity with Nature’s abundant brilliance.Alen is an expert on Croatian wine. He is knowledgeable, informative and passionate guide with an infectious personality who always makes the day memorable and fun.